Revere Health is First in Utah to Participate in Medicare’s Next Generation Accountable Care Organization Model. Revere Health, making health care more consumer friendly. 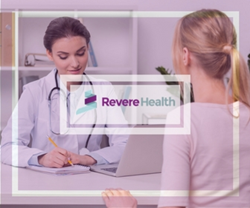 “Being part of the Next Generation ACO Model is a natural next step for Revere Health as we continue to find and implement ways to make care better and more cost-effective for our patients,” said Revere Health CEO Scott Barlow. On January 1, 2018, Revere Health became the first healthcare organization in Utah to be accepted into the Next Generation ACO Model, an initiative designed by the Centers for Medicaid and Medicare Services (CMS). First introduced in 2016, the Next Generation ACO Model is an initiative reserved for accountable care organizations (ACOs) that have demonstrated an ability to provide high-quality, low-cost care. Healthcare providers in a Next Generation ACO must meet certain metrics that address the different aspects of high-quality care—such as treatment effectiveness, patient safety, appointment availability, access to services and patient satisfaction—in order to earn incentives and avoid penalty. This Model also includes strong patient protections that ensure access to high-quality care. Healthcare providers who participate in the ACO are at greater financial risk and are penalized if they are unable to improve their patients’ health outcomes while also reducing their costs. Accountable care organizations are groups of providers, hospitals or health systems that come together voluntarily to provide coordinated care for patients in order to limit unnecessary spending. Revere Health’s ACO includes more than 170 physicians in 100 locations throughout the Revere Health network in Utah.